I have the great privilege of working with the teens at Victory Baptist Church in Loganville, GA. Last month I decided to challenge my Sunday School class (7th - 9th Grade guys) with something that really turned out to be a lot of fun. We wanted to make sure that everyone in the class could tie a necktie. At first I intended this to be a one week lesson; however, I soon realized that was not going to happen. 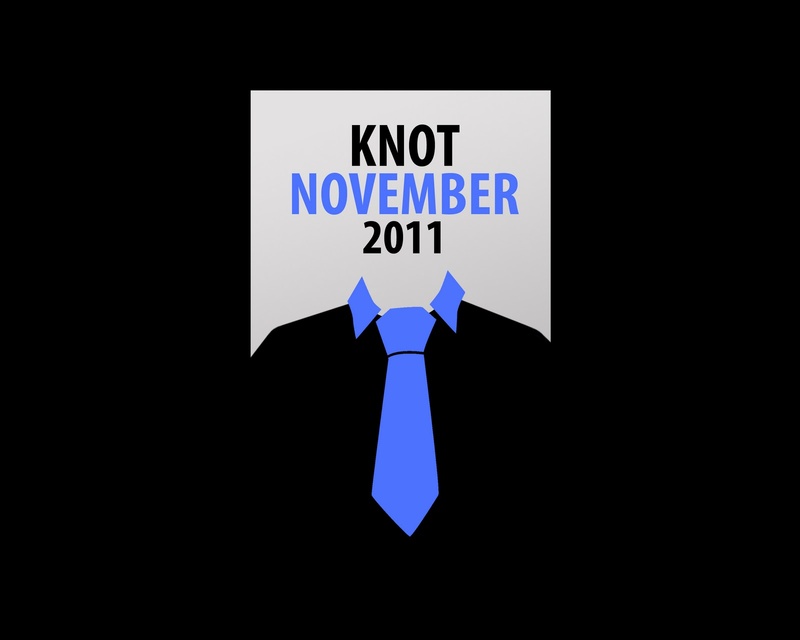 Thus “Knot November” was born. hahah! We went over a few different knots, the 4 In Hand Knot, the Half and Full Windsor, and the Pratt Knot. We also learned some deadly sins for ties, one - NEVER leave your knot tied after its used. You should have seen some of their faces as they were forced to untie a knot that their mother had tied for them.....probably several months ago. To make the event more fun, we added a challenge and some incentive. The ties we were practicing with, I had collected from men at church. I told the guys, if on the day appointed they could tie one of the knots learned, they could keep the tie they picked. I also created them an official “Knot Expert” card with their mugshot. All in all, a very memorable experience. Hopefully a learning one too. I want to congratulate every one in my class - they all were able to tie at least one of the knots we had learned! Knot November 2011 was a success.........through and through! Here is a quick video recap of Knot November, Enjoy!